A wide variety of crops can be grown hydroponically. Leafy green vegetables are especially successful. We provide hands-on and classroom experience in soil-free gardening. We expose growers and students to a wide range of crops, equipment and media. We explore how to make crop choices based on market research. We train technicians, managers and entrepreneurs in soil-free gardening. We encourage and support multiple methods of hydroponic cultivation. We operate urban, vertical farms independently or under contract with sponsoring businesses and non-governmental organizations. We supply affiliated growers with the technical equipment, supplies and consultation needed for success. Coming in 2019: Our container system can produce living microgreens and leafy green vegetables locally in a small space at low cost. Watch for info on this site soon. We develop gardening projects and firms in cooperation with non-profits and local companies. 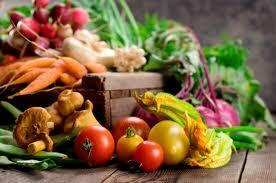 We build awareness and acceptance of healthy diets and local production. We develop new economic engines in disadvantaged communities. We are motivated by social issues stemming from the urban food desert, consisting of communities that are poorly served by the usual food distribution and marketing system with its vicious circle of poor nutrition and economic decline. We provide guidance regarding capital formation, equipment, logistics, training, production, distribution and management skills. Each local organization provides space, personnel and local networking.